Casey Peterson was born in Hollywood Florida. 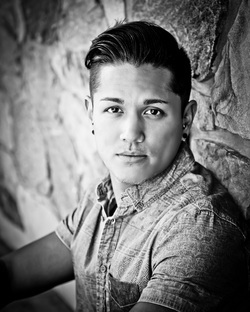 He began his dance training when he was 18 under the direction of Maria Vacarro at Dixie Dance Conservatory. He also danced two seasons for Dr. Lee Lei’s company while he studied Biology & Physical Therapy at Dixie State University. Upon graduating he went on to dance for ODT's scholarship program Odyssey 2. After that he joined the company and has been with them for the past 2 years. He’s performed in numerous musicals such as Joseph & the Amazing Technicolor Dreamcoat (Simeon), Les Miserables (Marius), Cats (Pouncival), High School Musical: On Stage (Troy) etc. Other credits include Dear Dumb Diary, a made for TV movie with Laura Bell Bundy, and was most recently seen as a featured dancer in Glenn Beck's: Man in the Moon! Besides company work Casey has worked commercially for Disney & USANA! "My body is my instrument, my most valuable possession but most of all, my sanctuary."